Before the DualShock, there was the PlayStation Dual Analog Controller. 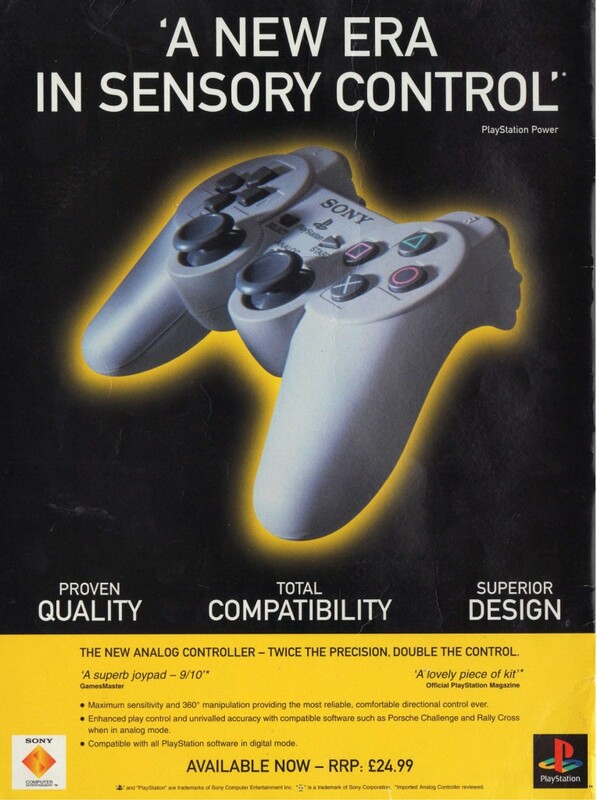 Sony only let the Dual Analog rule the roost for about six months before introducing the force feedback enabled successor. The most notable differences between the Dual Analog and DualShock, other than the obvious lack of rumble, is that the former has longer handles, concave analogue sticks and a third mode to make it mimic the functionality of Sony’s Analog Joystick, indicated by a green LED in the middle of the controller.